Image caption: ASU NanoFab is a flexible nano-processing facility that offers state-of-the-art device processing and characterization tools for university research and for external company prototype development. Begun in 1981, this facility, serving the Southwest, was one of 10 nanofabs affiliated with the National Nanotechnology Coordinated Infrastructure Initiative, the predecessor to the National Nanotechnology Coordinated Infrastructure program. 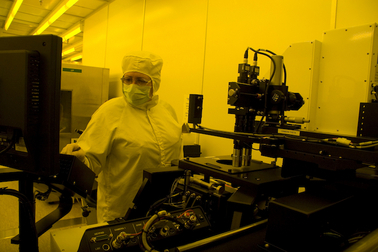 It will now be part of the new Nanotechnology Collaborative Infrastructure Southwest. This article was first published in ASU News. The National Science Foundation (NSF) will provide a total of $81 million over five years to support 16 user facility sites as part of a newNational Nanotechnology Coordinated Infrastructure (NNCI). ASU’s site is funded at $800,000 per year for five years. The NNCI award has been granted to Trevor Thornton, professor in theSchool of Electrical, Computer and Energy Engineering, one of the sixIra A. Fulton Schools of Engineering. He will be the principal investigator and director of the new Nanotechnology Collaborative Infrastructure Southwest (NCI-SW).